Obituaries for the eminent conservative political scientist James Q. Wilson, who died early this morning, are playing up Wilson's co-authorship, with George Kelling, of the "broken windows" theory of crime. That's a disservice, for two reasons. The first is that Wilson, who was already well established when his influential "Broken Windows" essay was published in the Atlantic, was not that theory's principal architect; the thesis grew out of research Kelling had performed previously for the Police Foundation. The second reason is that, 30 years after the essay's publication, the general consensus among social scientists is that Kelling and Wilson's theory is either wrong or, at best, unproven. What's true of windows, Kelling and Wilson argued, was also true more generally of "untended" behavior in a community. A stable neighborhood of families who care for their homes, mind each other's children, and confidently frown on unwanted intruders can change, in a few years or even a few months, to an inhospitable and frightening jungle. A piece of property is abandoned, weeds grow up, a window is smashed. Adults stop scolding rowdy children; the children, emboldened, become more rowdy. Families move out, unattached adults move in. Teenagers gather in front of the corner store. The merchant asks them to move; they refuse. Fights occur. Litter accumulates. People start drinking in front of the grocery; in time, an inebriate slumps to the sidewalk and is allowed to sleep it off. Pedestrians are approached by panhandlers. Such an area is vulnerable to criminal invasion. In essence, Kelling and Wilson were arguing that minor crimes, if unpunished, led to major crimes and massive social breakdown. This theory, when it appeared, was extremely persuasive. Violent crime in New York City was out of control even as subway cars were smothered in graffiti, drug dealers sold loose joints with impunity in public parks, and prostitutes paraded brazenly through Times Square. By the late 1990s the graffiti, the loose-joint sellers, and the prostitutes were mostly gone, and violent crime was way down. 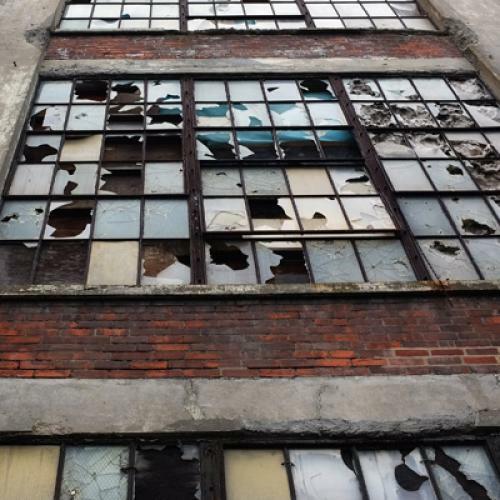 The broken windows theory had strong ideological appeal to both conservatives and liberals. For conservatives, it confirmed the idea that seemingly small infractions and incivilities were the thin edge of a wedge that threatened to topple civilization itself. For liberals, it confirmed Jane Jacobs's vision of successful city neighborhoods as fragile ecosystems held together by invisible communal bonds unheeded by, and requiring protection from, urban developers and their bribe-taking allies in city government. The broken windows theory made everybody happy, and to the casual observer it seemed to explain the remarkable transformation of New York City under Mayor Rudy Giuliani. But was it—is it—true? Not so's the National Research Council, an arm of National Academy of Sciences, could tell in its 2004 report, Fairness and Effectiveness in Policing: The Evidence. Citing the "community," "disorder," and "zero-tolerance" policing strategies inspired by Kelling and Wilson, the authors wrote, "There is a widespread perception among police policy makers and the public that enforcement strategies (primarily arrest) applied broadly against offenders committing minor offenses lead to reductions in serious crime. Research does not provide strong support for this proposition." Crime statistics in New York City, in particular, have been used as evidence for the effectiveness of this approach (Karmen, 2000; Harcourt, 2001). During the period when New York City implemented an aggressive disorder enforcement policy, there were strong drops in the crime rates. The overall rate of felony complaints, for example, fell some 44 percent between 1993 and 1997 (Greene, 1999). Homicides declined more than 60 percent in this same period, a result that led many policy makers and some scholars to see the New York approach to policing as the most dramatic and important innovation of the last decade (DiIulio, 1995; Kelling and Coles, 1996; Bratton, 1998a; Silverman, 1999). In the committee's view, these data do not provide a valid test of the effectiveness of generalized intensive enforcement on crime. First, the general program of intensive enforcement was implemented in New York as part of a larger set of organizational changes. [...] Second, a number of observers have noted that other factors unrelated to police activities may have played an important role in the observed drop in crime. For example, a group of studies have shown that the decline in New York City's crack epidemic may explain a good part of observed changes in crime (see Blumstein, 1995; Bowling, 1999). Others have argued that crime was already falling before the implementation of intensive enforcement activities in New York, suggesting that the trend of declining crime rates was not the result of police reform efforts after 1993 (Eck and Maguire, 2000; Joanes, 2001). Finally, studies show that the changes in the homicide rate in New York during that period are not dissimilar from those found in surrounding states and in other large cities that did not implement aggressive enforcement policies for disorder during the same period (Eck and Maguire, 2000; Karmen, 2000). associated with reductions in serious violent or property crimes in the city. As a result, New York City's marijuana policing strategy seems likely to simply divert scarce police resources away from more effective approaches that research suggests are capable of reducing real crime.... If anything, it has had the reverse effect. There are probably good reasons to maintain some level of community policing even if the broken windows theory is wrong. Petty crime and incivility are, after all, significant irritants to everyday life, and there's no question that (quite apart from community policing's impact on more serious crime) New York is a more pleasant place to live today than it was in 1975. But tossing African American weed-smokers into prison and throwing away the key does not strengthen bonds of community. It weakens them, because weed-smoking is more like a minor traffic violation than a petty crime (ask Mitch Daniels, who got caught, or Barack Obama, who didn't), and because African Americans are community members too.